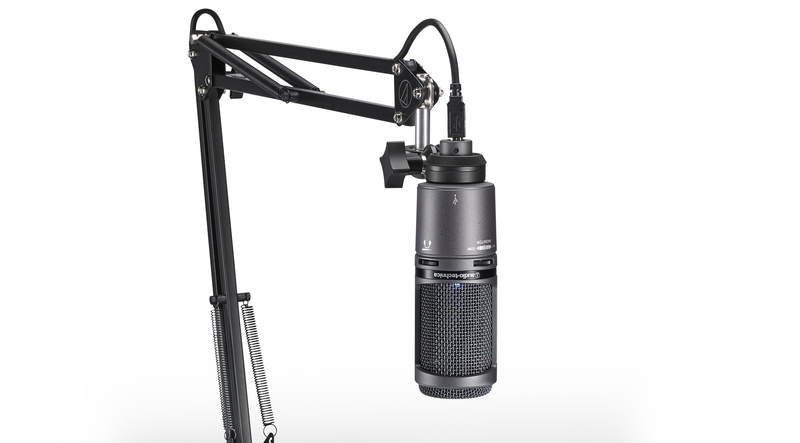 Audio-Technica (booth C6012) is offering four recently introduced bundles catered to content creators, including podcasters, videographers, live-streamers, YouTubers, and beyond. Developed in direct response to customer input, these highly cost-effective bundles provide turnkey microphone/headphone solutions for all aspects of content creation. Two bundles feature USB outputs to directly connect with computers, while two feature XLR outputs for more flexibility to connect with professional mixers or digital interfaces. All bundles feature a microphone with mount, ATH-M20x Professional Monitor Headphones and a new custom boom arm with desk mount. The boom arms are pre-threaded with the appropriate USB or XLR microphone cable compatible with the included microphone for a sleek, clutter-free appearance.